This page details all the media coverage arranged by the LSA or where there LSA are quoted. - March 2th 2014 - Radio Leicester - Raj Mann speaking in regards to the Amritsar Massacre Rally outside Parliament. 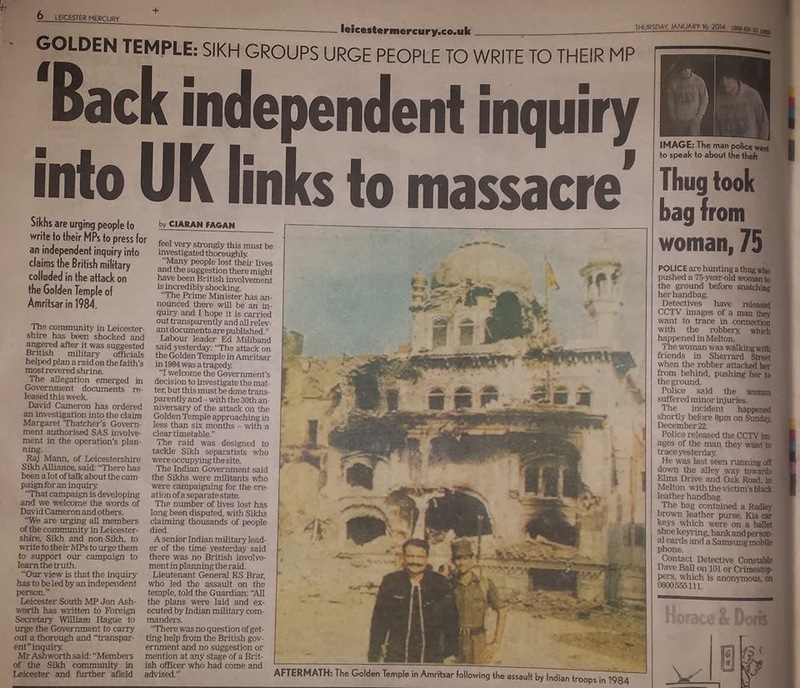 - Februaury 11th 2014 - BBC Radio Leicester - LSA Chair, Rajwant Singh Mann, defending Sant ji's right to be based at Sri Harmandir Sahib ji in 1984. - Februaury 6th 2014 - Leicester Mercury - Give us whole truth on Amritsar attack, urges Leicester MP Jon Ashworth. - January 17th 2014 - Jon Ashworth MP raising Sri Harmandir Sahib attack in the commons.